Sabetta (Russia) (AFP) – President Vladimir Putin on Friday launched a $27 billion liquefied natural gas plant in the snow-covered plains of the Arctic as Russia hopes to surpass Qatar to become the world’s biggest exporter of the chilled fuel. 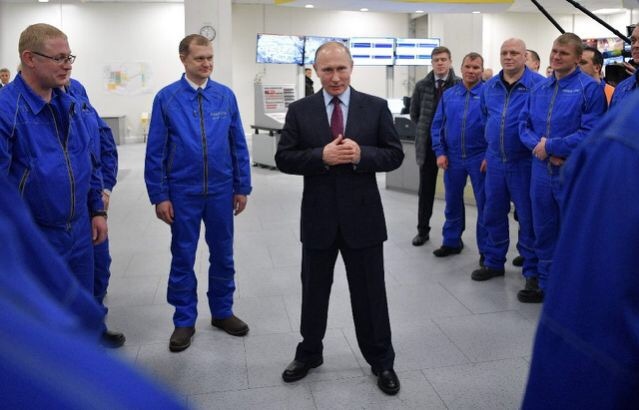 The Russian president congratulated workers as he oversaw the first gas shipment being loaded onto an icebreaking tanker from a LNG plant amid minus 28 degrees Celsius (minus 18 degrees Fahrenheit) weather in the port of Sabetta on the Yamal Peninsula above the Arctic Circle. For the project, Russia’s privately owned gas producer Novatek partnered with France’s Total and China’s CNPC. Qatar is currently the world’s biggest LNG exporter. Russia, the world’s biggest gas exporter, derives a huge share of income from pipeline deliveries to Europe. With the Yamal LNG facility Russia intends to strengthen its market presence in Asia and demonstrate its capacity to exploit huge Arctic reserves despite major technological challenges. Dmitry Monakov, the project’s first deputy director, said that producing LNG in permafrost was easier than in warmer climes, an apparent dig at countries like Qatar. “Nature itself helps us to more effectively liquify gas with the help of such low temperatures,” he told AFP, adding that the plant effectively sat on a gas field so transportation costs were low. Patrick Pouyanne, Total chairman and CEO, praised the project’s “remarkably low upstream costs”. “Together we managed to build from scratch a world-class LNG project in extreme conditions to exploit the vast gas resources of the Yamal peninsula,” he was quoted as saying in a company statement. White whiskers have been painted on it in honour of the late CEO, who was known for his white bushy moustache. The tanker would most likely leave tomorrow morning towards China, Novatek CEO Leonid Mikhelson said in a press briefing late Friday. “Novatek, once a domestic gas supplier, becomes a global LNG player” with the project, he added. The project has had its share of financial and technical hurdles over the years. While the Yamal peninsula has huge hydrocarbon reserves, it is an isolated region above the Arctic Circle, about 2,500 kilometres (1,550 miles) from Moscow and covered by ice for most of the year, with temperatures dipping as low as minus 50 degrees Celsius (minus 58 degrees Fahrenheit). Since its inception in late 2013, an airport and a port have had to be constructed, as well as gas reservoirs and the LNG plant itself. Securing financing for the project was tricky. Despite the project’s completion, Yamal LNG still faces risks, analysts said. Lussac of Wood Mackenzie said that the coming months will show “whether the plant can operate smoothly in the harsh Arctic environment”. 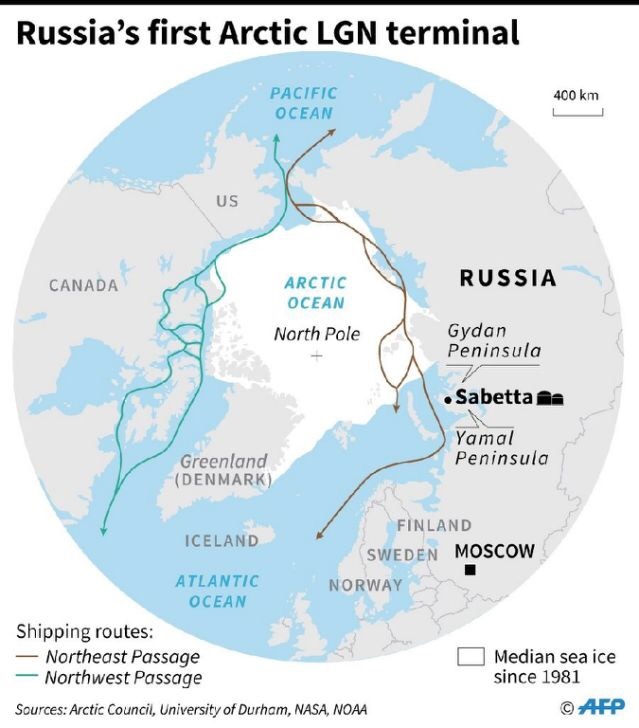 Transportation through the Northern Sea Route also remains undeveloped, and “its feasibility as a major LNG delivery route is unclear”, he added. Russia hopes the route will become an easier path to coveted Asian markets.